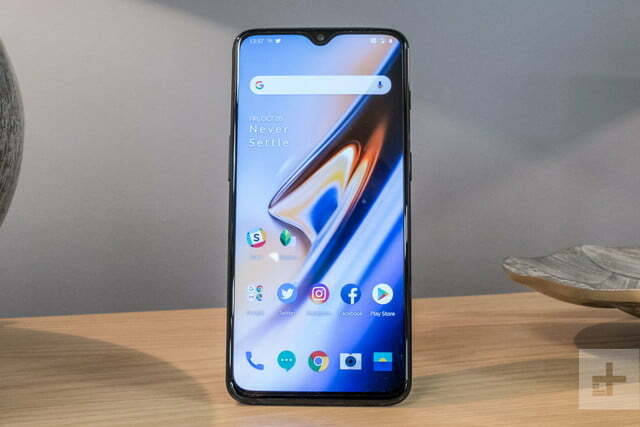 OnePlus 6T was launched on Tuesday in India. Remember that this smartphone was first introduced in an event held in New York on Monday. Let's say that OnePlus 6T is the upgrade to OnePlus 6, which was launched in May this year. The new handset of OnePlus is an upgrade of the old variants in many cases, but due to the headphone jack discharge, many interested customers can be frustrated. The one plus 6T user will need to use USB Type-C port or Bluetooth for audio connectivity. It comes with an in-display fingerprint sensor, bigger battery, big display, small notch, better low light photography, android 9.0 pie, and smart boost optimization. OnePlus 6T is priced at Rs 37,999 in India. At this price, 6 GB RAM / 128 GB storage model will be sold. It will be available only in Mirror Black color. At the same time, the model with 8 GB RAM / 128GB storage will be available in Midnight Black and Mirror Black Color. Its price is Rs. 41,999. The most expensive variant is 8 GB RAM and 256 GB of storage. It will be sold for Rs. 45,999. OnePlus 6T and OnePlus 6 are the major differences in prices. The price of OnePlus 6 starts at Rs. 34,999. The price is 6 GB RAM and 64 GB storage model. The most expensive variant is Rs. 43,999. Amazon India has already announced launch offers for customers who purchased OnePlus 6T. Cashback of Rs 5,400 by Reliance Jio, an instant discount of Rs 2,000 on payment by ICICI and Citibank credit card, 1,000 cashback on payment from Amazon Pay, free demo protection and non-interest EMI offers. The sale of this phone will start from November 1. Dual-SIM OnePlus 6T will run on the Oxygen OS based on Android 9.0 Pie. It has a 6.41 inch full-HD + (1080x2340 pixels) AMOLED display. Its aspect ratio is 19.5: 9. There is a protection of Corning Gorilla Glass 6 on the display. It uses the Octa-Core Qualcomm Snapdragon 845 processor. For Jugalbandi 6 GB and 8 GB RAM have been given. OnePlus 6T has dual rear camera setup. The prime sensor is 16 megapixels. This is the Sony IMX519 sensor whose aperture is F / 1.7. With this, the 20 megapixel Sony IMX376K sensor has been given in duo. It also has an aperture F / 1.7. With the rear camera, you will be able to shoot 4K videos and also with the Super Slow Motion video. There is also dual-LED flash with rear camera setup. EIS is also available with OIS. OnePlus 6T's front camera is 16 megapixels. This is the Sony IMX371 sensor, which is equipped with F / 2.0 aperture and 1-micron pixels. The front camera is also equipped with electronic image stabilization. It is worth noting that same front and rear camera setup was given in OnePlus 6. OnePlus 6T has two options for inbuilt storage - 128 GB and 256 GB. MicroSD card is not supported. The connectivity features include 4G VoLTE, Wi-Fi 802 AC, Bluetooth 5.0,, GPS / A-GPS and USB Type-C port. The phone has a 3,700 mAh battery that supports fast charging. The dimensions of one plus 6 t are 157.5x74.8x8.2 millimeters and weighing 185 grams.